The rough streak for vintage aircraft continues. 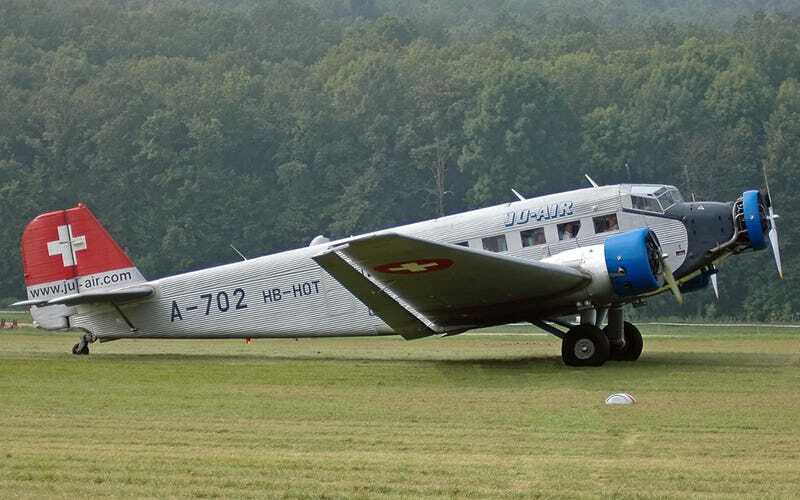 Following the loss of a de Havilland Venom jet fighter and its pilot in Wisconsin and the takeoff crash of the C-47 Bluebonnet Belle in Texas last month, a vintage Junkers Ju-52 (HB-HOT) on a sightseeing trip crashed in the Swiss Alps this past Saturday, killing all 20 on board. Witnesses said the aircraft came down almost straight into the ground. No cause for the crash has been determined, and the investigation will be hampered by the lack of any black boxes on the aircraft. A vintage plane crashes into a Swiss mountainside while on a sightseeing tour. Update: Wikipeda has a photograph of the wreckage. It’s not gory, but it’s brutal. Here is a link. Requests have been made to delete it, so there’s no saying how long it will be up. As of now, I do not plan to post it here.